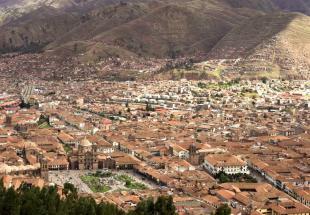 Discover the Inca culture and all the archaeological sites around Cusco and all over the Sacred Valley, staying in the most magnificent hotels of Peru. 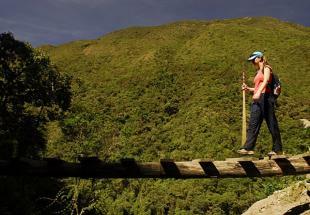 Access the Machu Picchu via trails located at the foot of snow-capped of Cordillera Vilcabamba and across green valleys guarded by condors... A great Adventure open to those who wish to have comfort after a lovely day hiking! 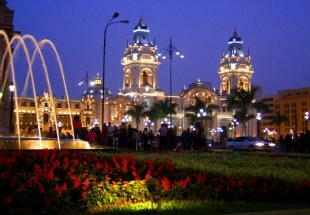 Upon your arrival at the airport Jorge Chávez of Lima, you will be taken to your hotel. 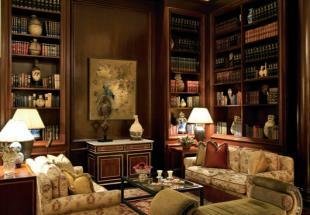 English speaking assistance from airport to your hotel. 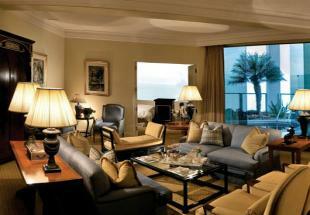 Night at the hotel Mirafores Park (Ocean View Junior Suite). 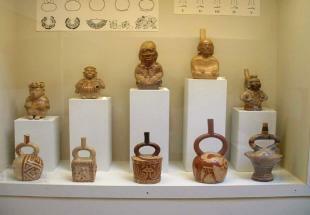 Visit to the Larco Herrera Museum, one of the largest private collections of pre-Columbian art in Peru. The exhibition rooms showcase pottery, textiles, mummies and other objects that will give you a greater understanding of Peruvian history. Transfer from the city center to the airport. 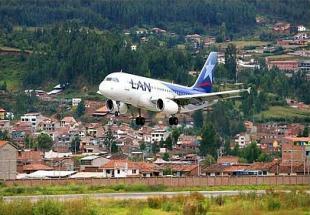 Domestic flight from Lima to Cusco. Reception at Cusco airport and transfer to the hotel. English speaking assistance from airport to hotel. 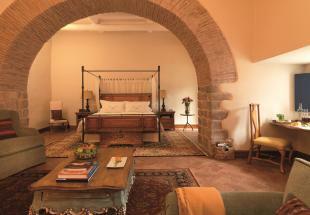 Night at the hotel Palacio Nazarenas. 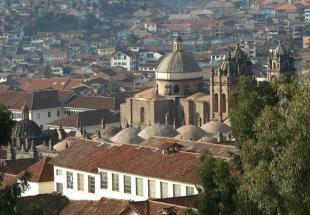 Departure at 8:00 am in the morning for a day spent visiting Cuzco and the surrounding areas. 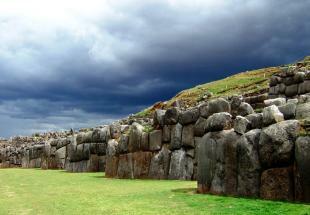 In the morning, visit of the archaeological sites overlooking the city: Tambomachay, Q’enko, Pukapucara and Sacsayhuaman. 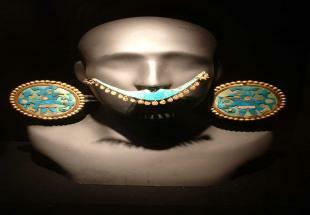 We then walk down to the San Blas district (the artists’ district). 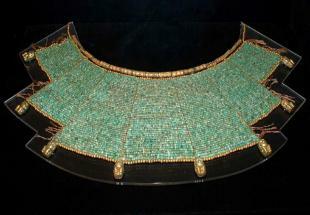 We pass by the famous 12 angles stone and continue to the San Pedro market to familiarize ourselves with local products. 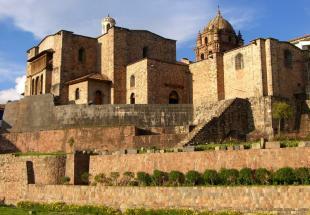 In the afternoon, visits of the Koricancha (Temple of the Sun) and of the Cathedral where some paintings from the Cuzco School are displayed as well as many gold and silversmithery pieces and precious stone treasures. Return to the hotel at the end of the afternoon. 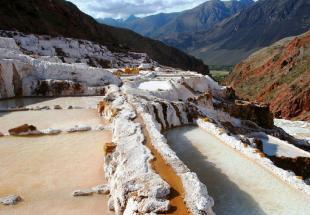 Departure in the morning at 7 am by private vehicle for a day dedicated to the discovery of the Sacred Valley. 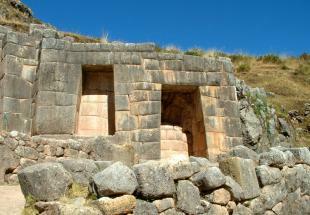 The first stop will be the ruins of Pisac where we will visit the site and walk around the handicraft market. We will make a further stop at a ceramics workshop in Urumbamba (Ayllu if it is open; if not we will visit another) before continuing the journey on to Maras: salt mines in the middle of the Cordillera! 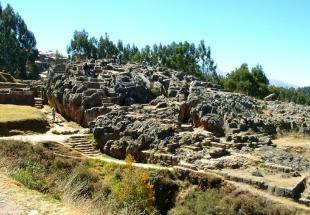 We will then travel to the Incan village of Chinchero to visit the church and the local textile association Awan Wasi Tocapo. 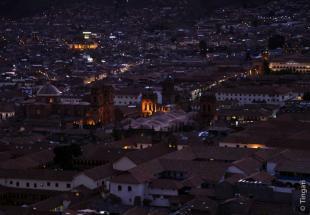 Return trip to Cusco at the end of the afternoon. Early morning departure in a private vehicle for Cusco. 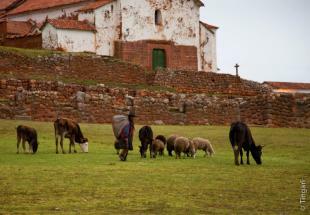 On the way we visit the Tarawasi Inca ruins near to the village of Limatambo. We will pass through the mountain village of Mollepata and continue for another 30 minutes until we reach Marcoccasa. 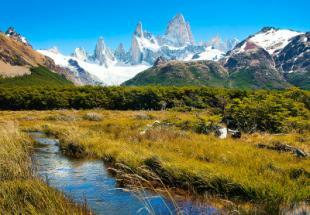 This is where we will begin our hike to Soraypampa taking an ancient path called the “Royal Path”. 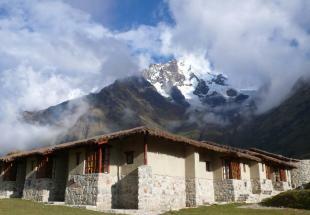 We arrive at Salkantay Lodge after 3 to 4 hours hiking. 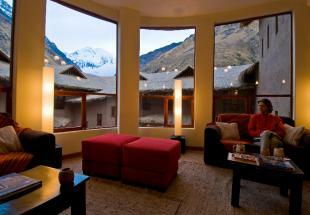 In the afternoon you will have free time to rest and get accustomed to the altitude. 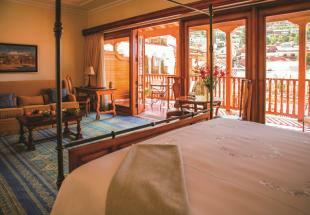 A day spent relaxing under the sun or in the outside jacuzzi at the lodge. 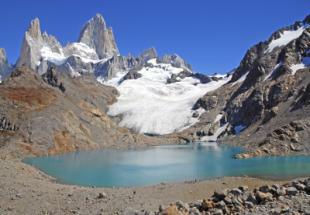 We will also take an acclimation walk as far as the lake. 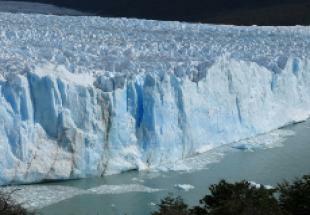 We will leave early in the morning to climb the Río Blanco valley. 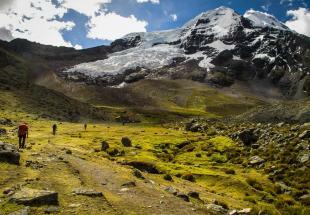 We reach a pass at 4500 m from where the view over the snowy mountains of the Vilcabamba cordillera is spectacular. The southern face of Salkantay Mountain is also laid out before us. With some luck we will be able to spot condors in flight. 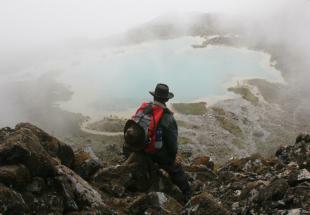 Then we begin our descent to Wayra Lodge where we will spend the night. Total walking time: 4 to 6 hours. 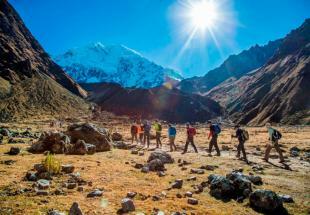 Our walk begins crossing green rolling hills until we reach Salkantay River. We reach Collpa Lodge in time for lunch and we will enjoy a traditional dish called Pachamanca that is cooked on hot stones buried in the ground. In the afternoon you will have free time in which to rest; the outdoor Jacuzzi at the lodge has magnificent views of the surrounding mountains…. Total walking time: 3 to 4 hours. Today’s walk begins with a descent through the Santa Teresa River valley, an area where the local population cultivates plantations of coffee, bananas and granadillas (passion fruit). 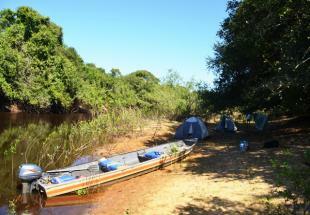 We will have a hot lunch on the riverbank before boarding a vehicle that will take us to the start of the Llacpata hiking path. 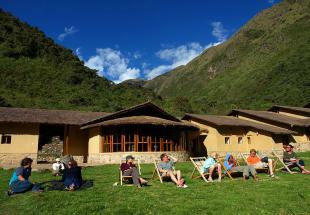 We reach Lucma Lodge, located in an avocado orchard, after a short 30-minute climb. We will then visit the village of Lucmabamba where we can meet and get to know several members of the community. 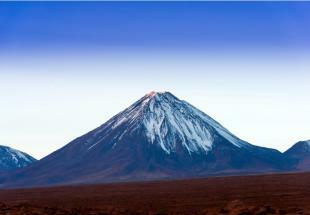 This morning we will climb up to Llacpata pass at an altitude of 2700m. 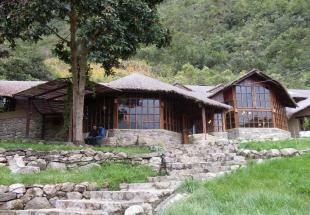 We will have lunch at the observatory with a view overlooking Machu Picchu and then descend as far as the Aobamba River through bamboo forests and coffee plantations. Then we will take a 30-minute train ride to Aguascalientes arriving in mid-afternoon. 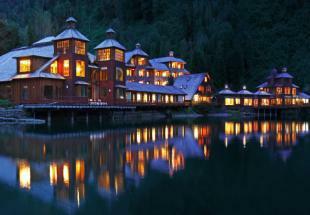 Night at the Machu Picchu Pueblo Hotel. 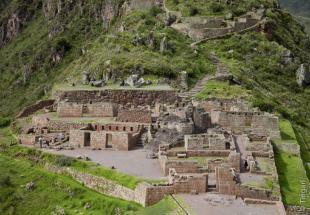 Early in the morning we take a shuttle vehicle to the entrance of the citadel of Machu Picchu. We will spend the day visiting the site, a wonder of the world brought to the attention of the world in 1911 by the American anthropologist Hiram Bingham. 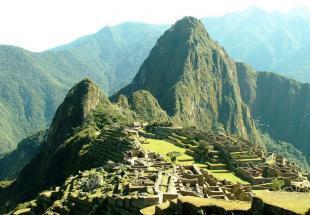 We will climb Wayna Picchu to get a panoramic view of the site and of Urubamba Valley. 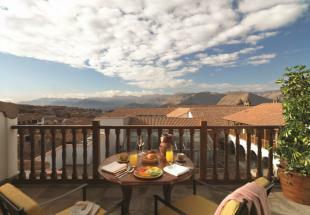 In the afternoon we will return to Cusco where you will be met and taken to your hotel. 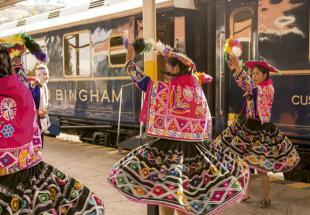 In the beginning of the evening, way back to Poroy in the luxury Hiram Bingham. Dinner served aboard the train. Reception at Poroy's train station and transfert to the hotel. Time-off in the morning to relax. 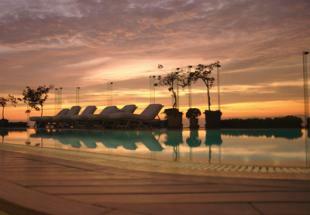 English speaking assistance from your hotel to the airport. 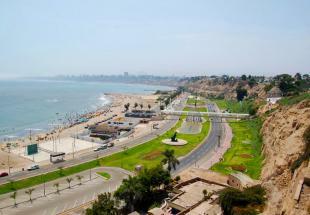 We go to Lima’s famous “malecon” (seafront esplanade) for a larger than life experience: paragliding over the beach and the buildings in Miraflores, the central area of the Peruvian capital, with your instructor. 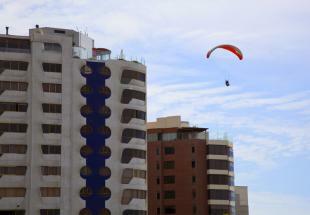 Note: a tandem flight of around 15 minutes. 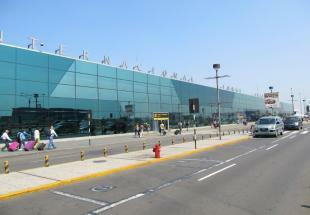 Three hours before take-off, transfer to Jorge Chavez airport in Lima. Connection with the international return flight. Assistance by one of our representative for your check in and customs formalities. 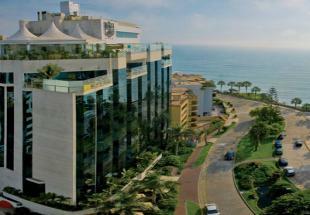 Renowned for its superb location overlooking the Pacific Ocean, the Miraflores Park Hotel provides easy access to all the centers of interests offered by Lima. 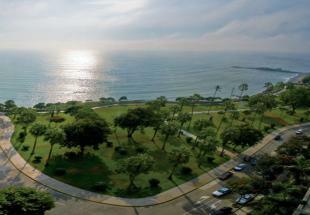 The Miraflores Park Hotel is a boutique hotel set in a beautiful park on the edge of the cliff overlooking the ocean. 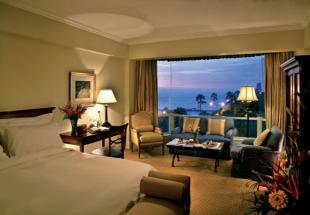 Almost all of its rooms offer beautiful views. The hotel has for vocation to offer an ideal setting for business travel by providing advanced IT equipment and to visit the city in a comfortable and friendly atmosphere. 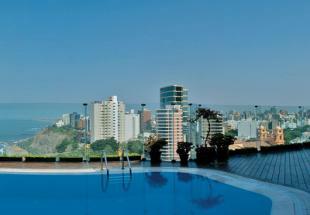 In Miraflores, the service is dedicated and customized. 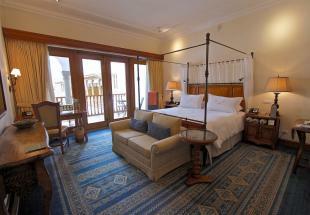 All rooms are spacious and attention is being given to every detail. 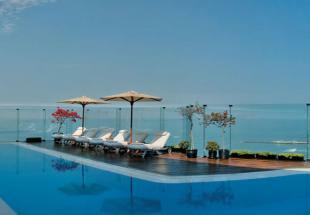 Besides the Bar "Jekyll and Hyde" and the gourmet restaurant "Mesa 18", the hotel also hosts the restaurant "Observatory", enjoying a magnificent views of the ocean, a pool, a gym and three massage rooms. After three years of restoration, this urban sanctuary has reopened its doors to turn into one of the most exclusive hotels in Cusco. 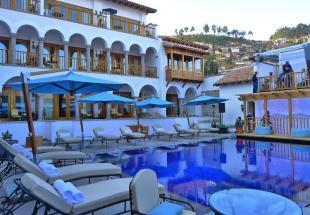 Offering an outdoor pool, spa, bar and restaurant, the hotel occupies a historic palace and houses walls of Inca stone. Wi-Fi is available and buffet breakfast is included. 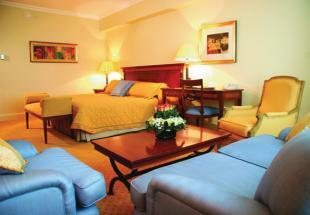 Suites of the Palacio Nazarenas Hotel have a fully equipped private bathroom, air conditioning, a TV and a DVD player. 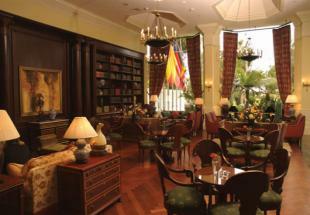 Each has its own bar with private butler. The spa is specialized in aromatherapy and uses Peruvian ingredients such as flowers and herbs, pink Andean salt, purple corn, honey, avocados, coffee and coca leaf. 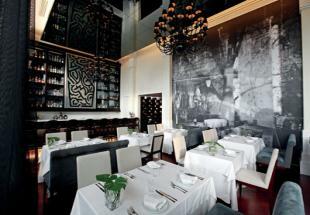 The Senzo restaurant is specialized in Andean cuisine. The Senzo Bar, located near the pool, serves really excellent cocktails. 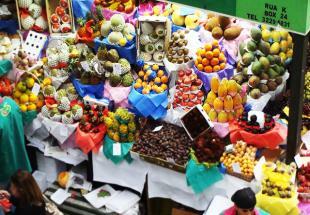 Fresh fruits and a variety of drinks are offered upon arrival.